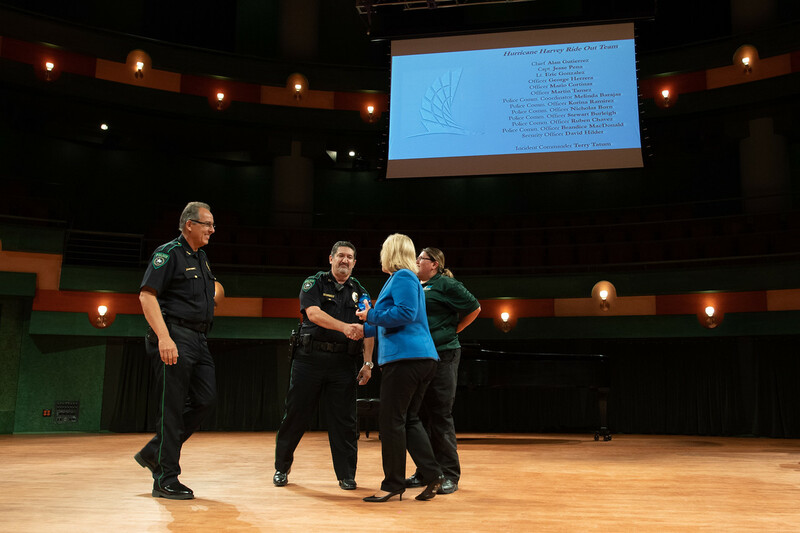 CORPUS CHRISTI, Texas – In recognition of their work before, during, and after Hurricane Harvey, an affiliation of Texas A&M University-Corpus Christi faculty and staff received the President’s Silver Wave Award at the President’s Fall 2018 Faculty/Staff meeting held Aug. 20. 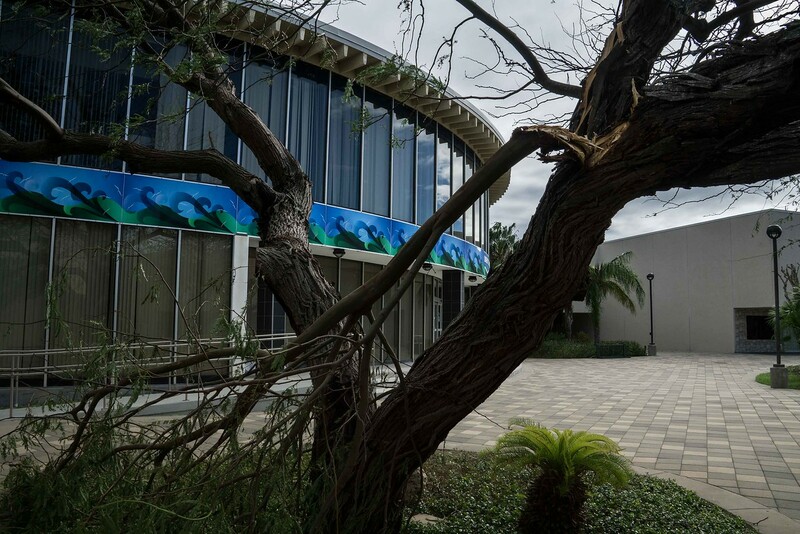 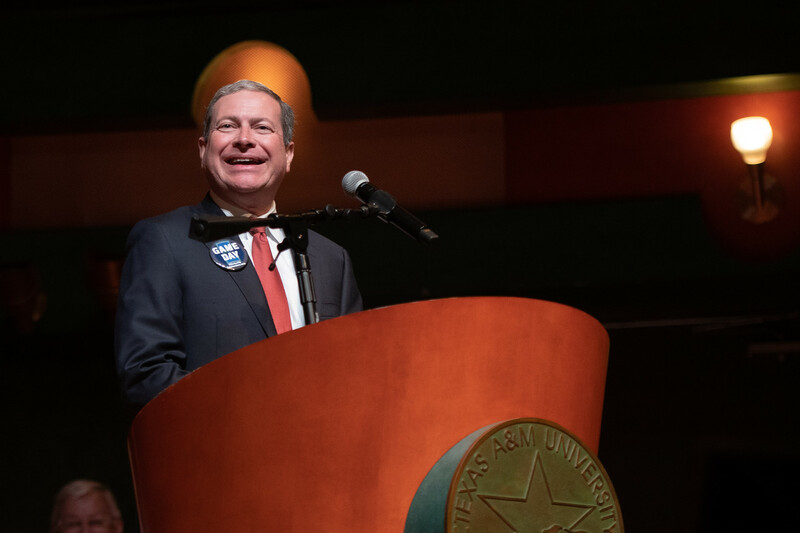 The award, given out each year since 2005, is presented to a program or person – or in this instance, a group of people – who bring national and international attention to Texas A&M-Corpus Christi. 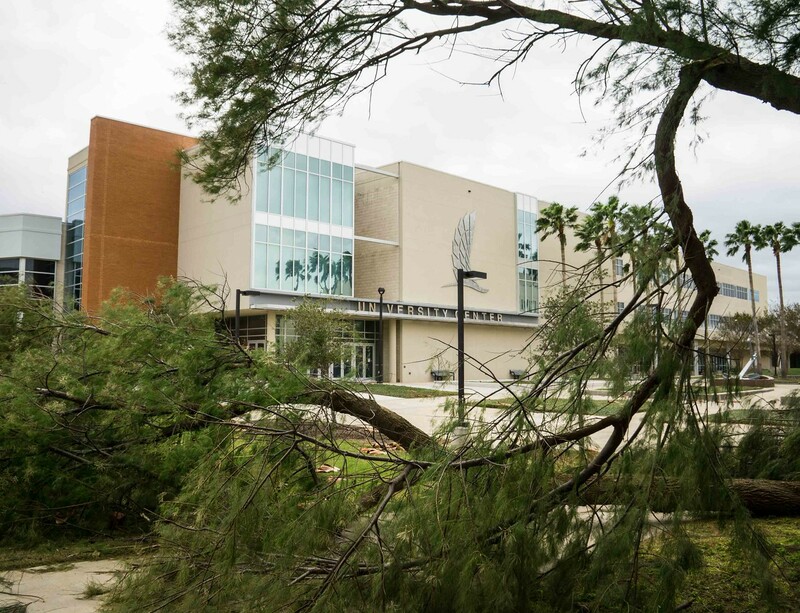 ‘Harvey’s Heroes,’ as they are affectionately called, were Islander employees who went above and beyond to not just repair damage caused by Hurricane Harvey, but to promote student success and the recovery of fellow employees and community members most impacted by the storm. 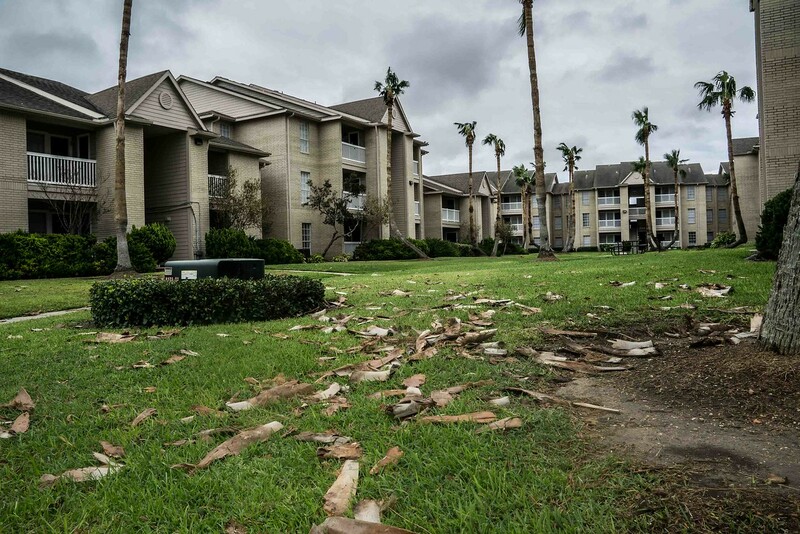 Their efforts ranged from picking up debris and repairing structures to restoring wildlife habitat, economic livelihoods, and providing comfort and encouragement, despite any personal effects they also suffered from the storm. 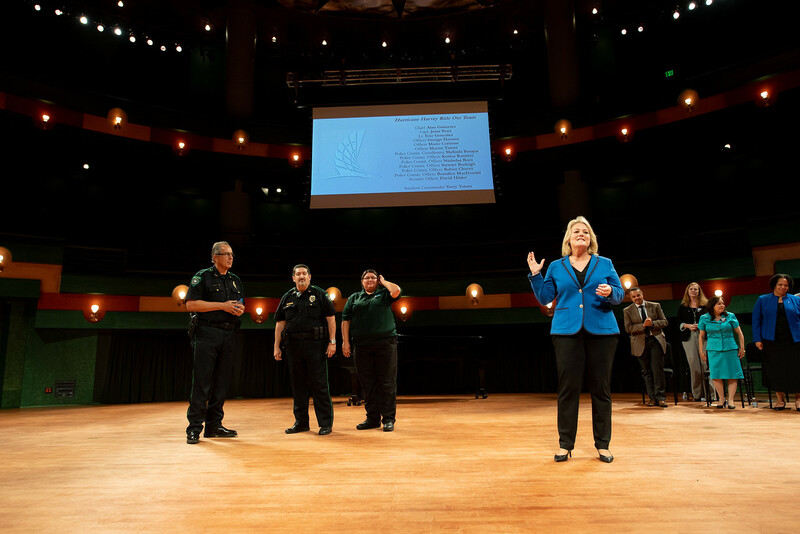 At the faculty/staff meeting, two groups were welcomed to the stage to accept the award on behalf of the large collective of Harvey’s Heroes: Terry Tatum, Executive Vice President for Finance and Administration, for his role as Incident Commander during the storm; and members of the University Police Department’s “ride out” team, who stayed on campus as the Category 4 storm battered Ward Island. 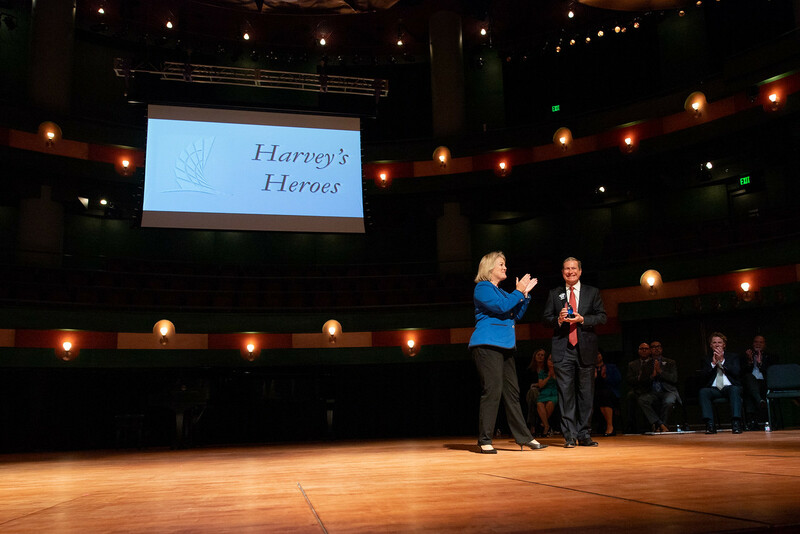 The Island University honors its commitment to our community and is proud to stand together and celebrate our Harvey’s Heroes.